You all know how much I love pizza! 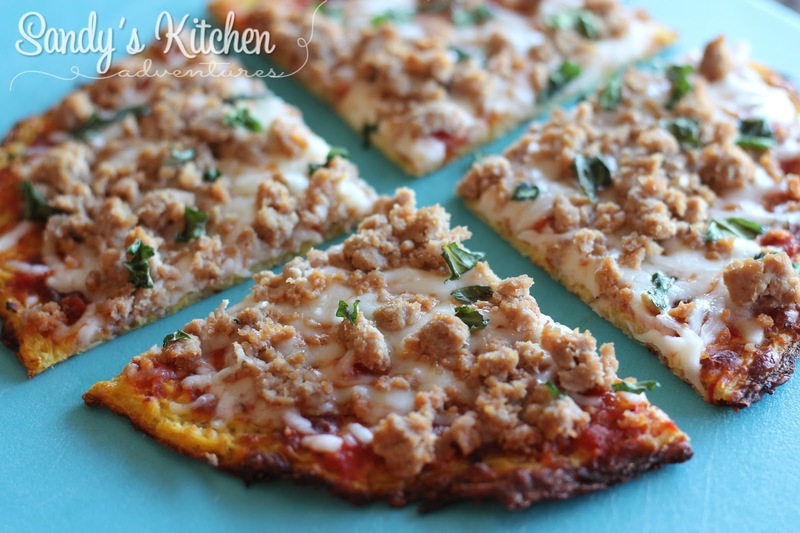 Traditional pizza, cauliflower pizza, meatza pizza! I love them all, but now I have another favorite pizza crust to add to the collection! 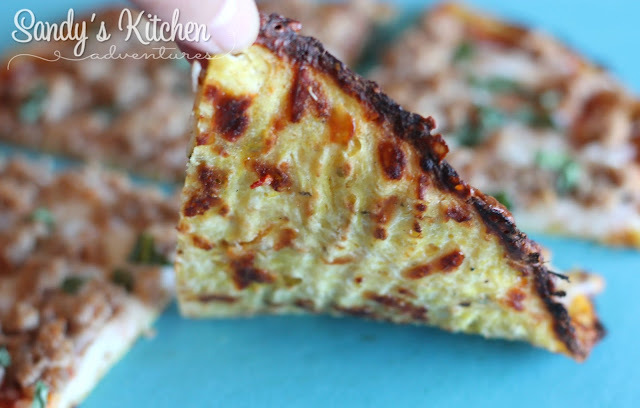 Spaghetti squash pizza crusts! I have no idea why I waited so long to make them! They are absolutely delicious! One bite of this crust and you will be hooked! 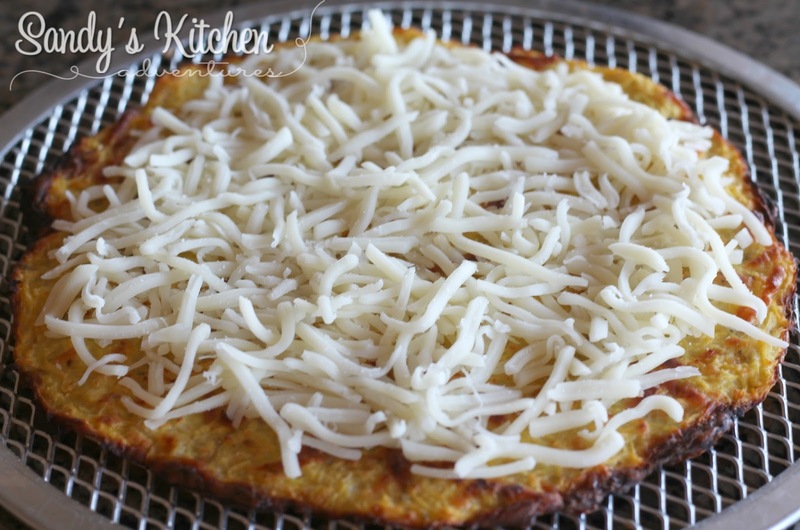 It is low carb, gluten free and makes a healthier alternative crust. My favorite way to cook spaghetti squash is by roasting it. First I cut it in half lengthwise. Then scoop out the strands and seeds with a spoon. Spray lightly with olive oil cooking spray. Bake for 45 to 50 min at 375 degrees with the halves facing down. Let cool, and use a fork to scrape the flesh to form strands. You can also cook spaghetti squash in the microwave, slow cooker, or instant pot, but roasting is my favorite method. The spaghetti squash strands are pretty sturdy and meld together to form a yummy crust. My biggest piece of advice is to squeeze out as much liquid as possible after cooking the spaghetti squash. Removing the liquid will result in a firmer crust. 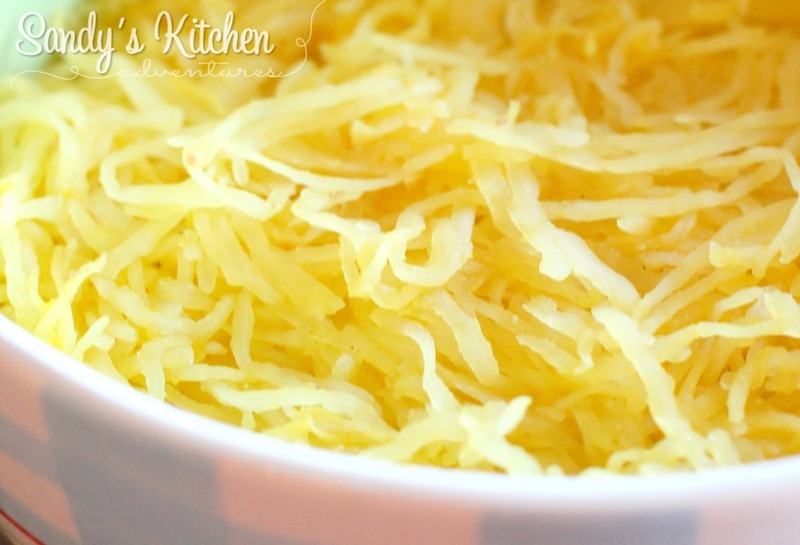 You can remove the liquid by placing the spaghetti squash strands in a strainer. Then place a bowl on top of the squash, pressing down to allow the liquid to drain. Fold the strands into the middle of the strainer, and repeat. Or you could use a clean dish cloth (not terry cloth) or cheesecloth and twist to remove liquid. 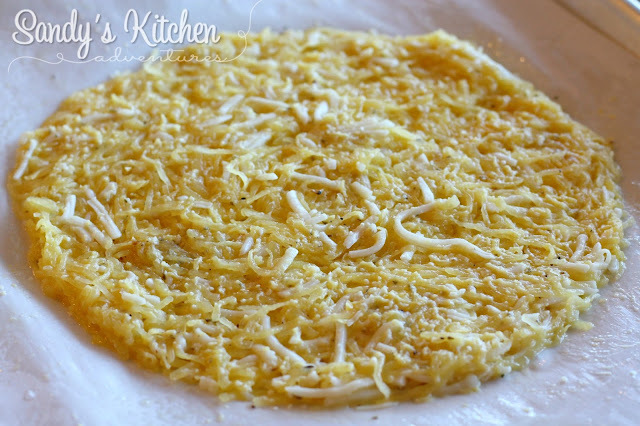 Add 1 cup of spaghetti squash to a small bowl with egg whites, parmesan cheese, mozzarella cheese, oregano and garlic powder. Stir until combined. Line a baking sheet with parchment paper (not waxed paper) and lightly spray with cooking spray. Pour spaghetti squash mixture onto parchment paper and form a thin circle. I flatten and shape the circle with my hands. Don't be afraid to get your hands dirty! Bake for 25 minutes. Carefully peel back the crust and flip to cook the other side for an additional 10 minutes. Then add your toppings! For the chicken margherita pizza, I didn't add marinara sauce since I was using delicious tomato slices. I sprinkled mozzarella cheese on top of the crust. Then added chicken, tomato slices, and fresh basil. Baked it for 5 to 6 minutes or until cheese has melted. I sprinkled fresh ground black pepper to finish it off! Check out that crust! They are also freezable! Place cooled crusts in a ziploc bag, remove air, and store in the freezer up to 2 months. Remove them from the freezer the night before and place in the fridge to defrost overnight. Put your favorite toppings on the pizza and bake! Another pizza variation! 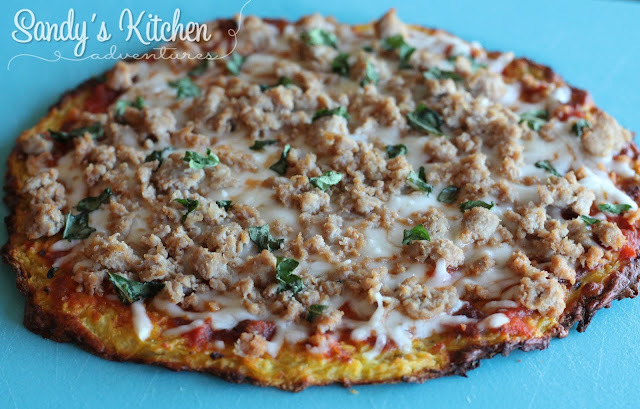 Sweet Italian Sausage Pizza! Printable recipe below! 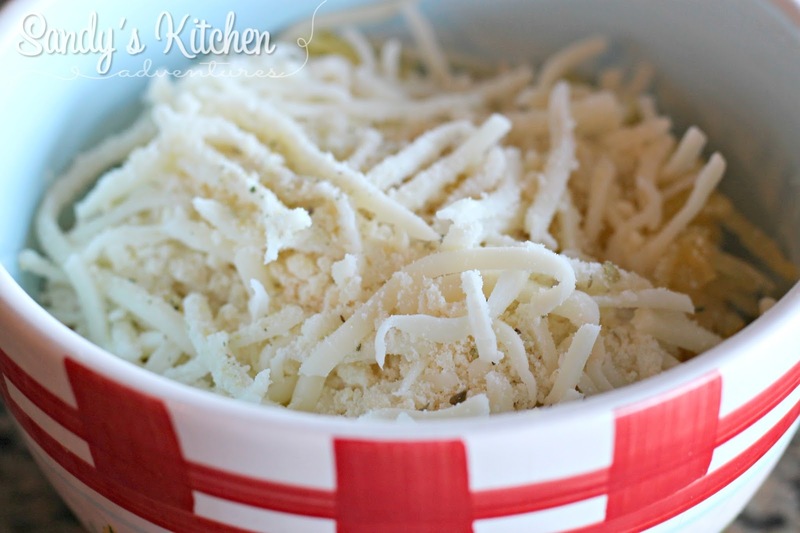 Combine spaghetti squash, egg whites, mozzarella cheese parmesan cheese, oregano and garlic powder in a small bowl. Spread spaghetti squash mixture on parchment paper, forming a thin circle. Bake for 25 minutes and carefully flip the crust. Continue baking an additional 10 more minutes. Top crust with your favorite toppings and bake an additional 5 to 6 minutes or until cheese has melted. 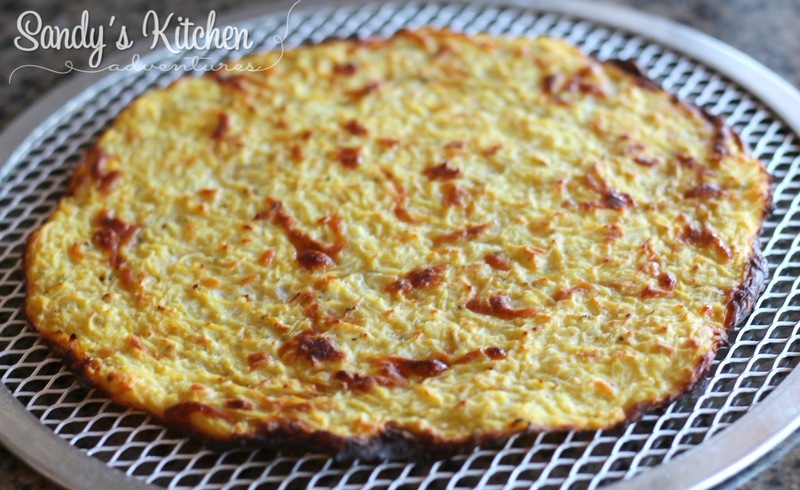 Top spaghetti squash crust with cheese and chicken. 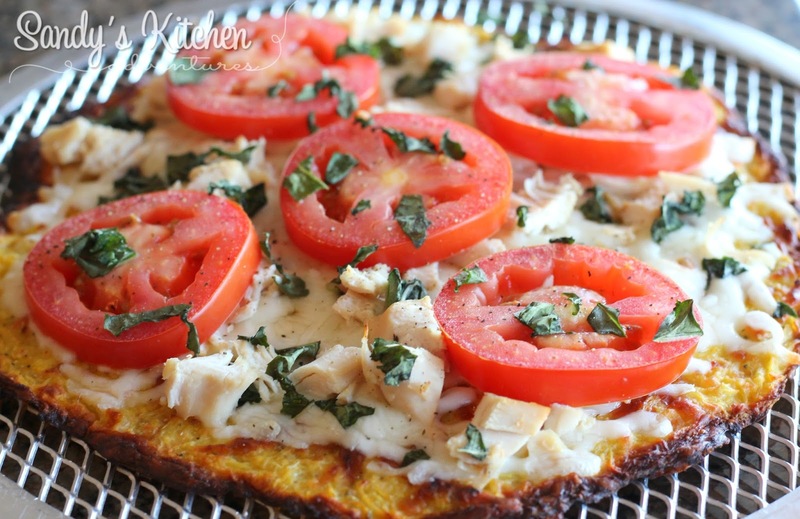 Top pizza with sliced tomatoes (no need to add tomato sauce). Sprinkle fresh basil over pizza. Bake for an additional 5 to 6 minutes or until cheese has melted. Top spaghetti squash with marinara sauce. Hi Sandy. 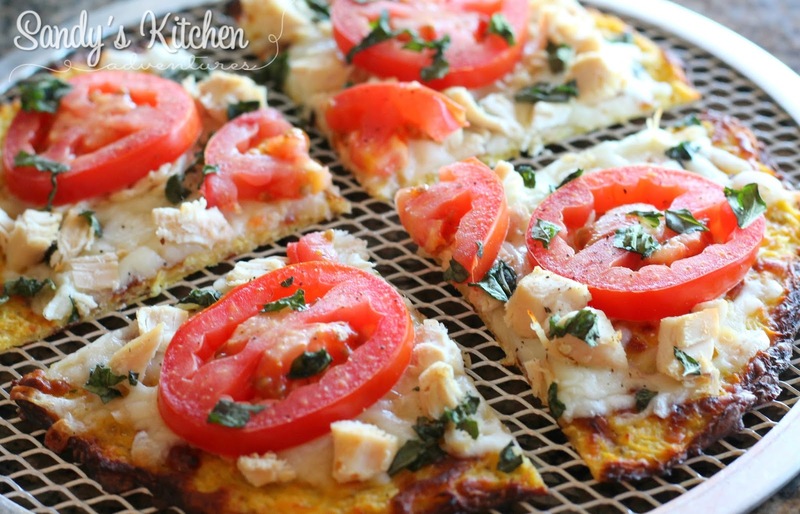 These pizza recipes are amazing and what a brilliant idea using spaghetti squash for the crust. I always have at least 2-3 on hand and love using them for every kind of recipe plus just eating plain cooked with a little salt and pepper. I'm so happy to have discovered your blog a few weeks ago and have always been intrigued by the Medifast Plan for years and still am and guess I'm going to research it. Any suggestions?? Thanks for your help and great recipes. 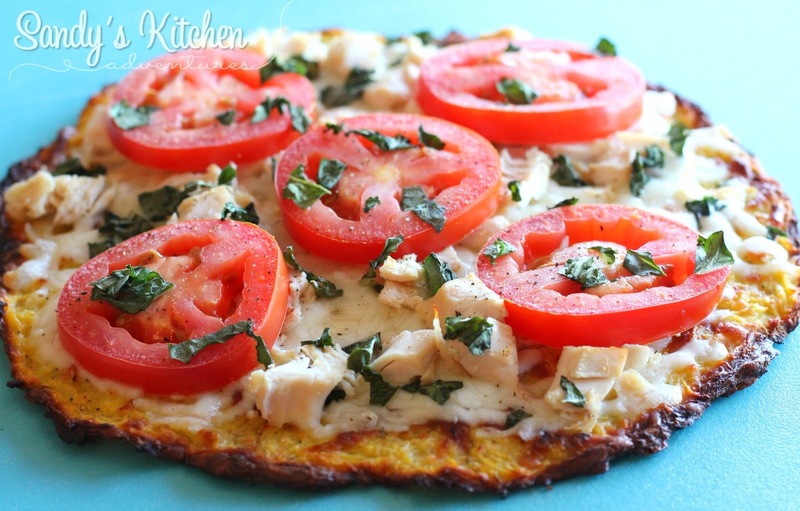 I love spaghetti squash too and now I am loving it as pizza! Check out answers.optavia.com! You can get a lot of info there. 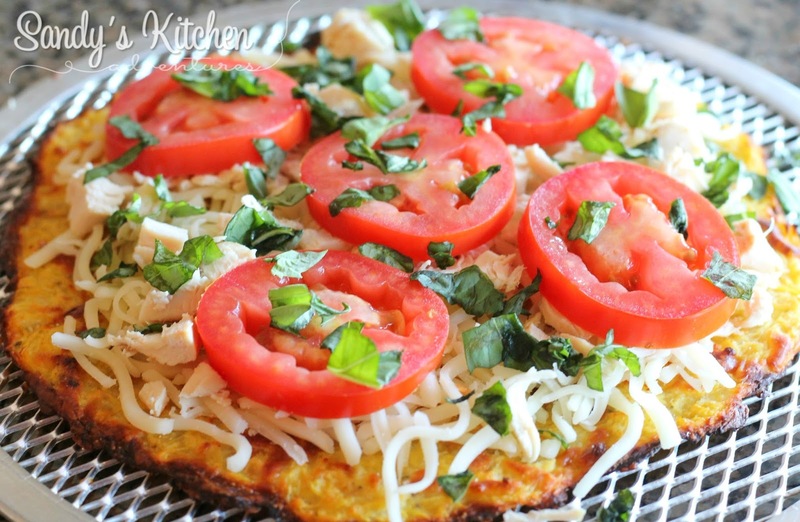 Also, there is a wonderful Lean and Green recipes group on Facebook! Check it out for more recipes creations! You don’t have to be on Medifast to enjoy some of the recipes!